Bundesliga | Bayern Munich vs. RB Leipzig: let them entertain you! Leipzig and Bayern both produced the goods in yet another spectacular contest between the teams last Wednesday. Bayern Munich vs. RB Leipzig: let them entertain you! Bayern Munich and RB Leipzig are about to meet for only the third time in the Bundesliga and with the rivalry between these sides growing exponentially by the game, bundesliga.com takes a look at the key stats ahead of the teams' second meeting in four days. At one point late in the DFB Cup second round encounter between these footballing behemoths last Wednesday, the game resembled the closing rounds of Rocky IV, both sides battered and exhausted but still somehow managing to throw punch after punch. Watch: FIFA 18 predicts Bayern vs. Leipzig! A Juup Heynckes nose bleed forced him into a change of attire at the Red Bull Arena while Raging Bull Ralph Hasenhüttl was left emotionally battered after yet another setback against Bayern. Prior to the mid-week eliminator, the latter tactician had previously lost all four Bundesliga games against Bayern as a coach, two while in charge of Ingolstadt and another two with Leipzig. “It’s not so bad, I just blew my nose too forcefully and it started to bleed,” Heynckes said after a contest in which his side struck five perfect penalties to advance following a shootout. 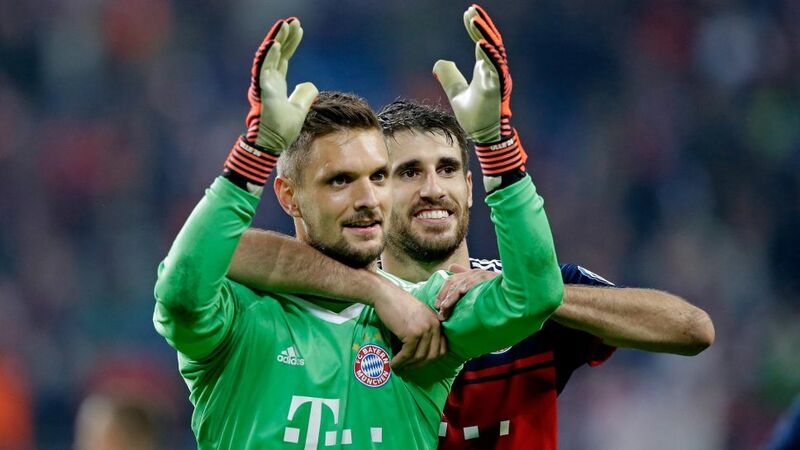 Leipzig, crucially, missed just one spot-kick, with Timo Werner’s effort stopped by visiting goalkeeper Sven Ulreich. The man known as ‘Turbo’ was always on the losing side in seven prior league engagements against the reigning German champions, and the 21-year-old’s mood thus darkened further after the latest reversal. Leipzig were a man down after 54 minutes on Wednesday, Naby Keita’s dismissal momentarily inhibiting the Saxony-based outfit in their attempts to oust the record 18-time Cup winners. Hasenhüttl’s charges also finished with ten when the teams met at the Allianz Arena last season, Emil Forsberg ordered from the field after just 30 minutes of play. The visitors to Bavaria that day found themselves 3-0 down at the break, with Thiago, Xabi Alonso and Robert Lewandowski all scoring before the close of the first half. The result still represents Leipzig’s highest-ever Bundesliga defeat. Watch: Leipzig and Bayern produce a nine-goal Bundesliga thriller! Indeed, Leipzig are on average still the youngest team in the division, with Bayern the oldest while for Robben, one more goal in this fixture on Saturday would propel him past Giovane Elber as Bayern’s highest scoring non-German [those two are currently level in that category on 92]. And so, in this burgeoning Bundesliga rivalry, Heynckes and Hasenhüttl are set to send their sides out toe to toe for the second time in four days. “I’m expecting it to be just as tight as the cup match,” the Bayern boss said. “We’re looking forward to part two and are preparing for the hardest game possible,” Leizpig’s man in charge countered. Whatever the numbers these two teams rack up over the coming 90 minutes, expect to be entertained. Click here for the Bayern vs. Leipzig Match Centre!